3D printing is becoming a major asset for the energy industry. More specifically, the impact of additive manufacturing on renewable energy could be really interesting. Regarding the climate change situation, green energies are one of the biggest challenges of our century. As fossil fuels are progressively running out, we observe the development of electric cars, wind turbines and solar panels. But most of these devices are still quite expensive and need to be improved. Hopefully, some researchers are working on 3D printed solar panels in order to make the most of the sun, an inexhaustible resource. For example, did you know that 3D printing could be a great method to create solar panels? Researchers are certifying that the production costs of solar panels could be reduced by 50% thanks to additive manufacturing. They could be even more efficient than traditional solar panels. We will see in this blogpost how the 3D printing technology is helping the renewable energy industry, and more specifically here, solar energy. We will also take a look at all the possibilities and researches made to 3D print solar cells in order to make 3D printed solar panels. Why is 3D printing useful in the energy industry? At Sculpteo, we know that 3D printing can be very useful for the energy industry. Indeed, if additive manufacturing can help various sectors such as the medical industry or even the architecture and construction field, it could also help the energy industry. Actually, digital manufacturing is a good solution to help you with your projects when it comes to energy. Using this manufacturing method could be a way to improve the quality of your products, and reduce your costs at the same time. The renewable energy industry needs to be more affordable, and additive manufacturing could be the perfect manufacturing process to do so. Let’s see how this technology could be a great help for you if you are planning to develop solar powered structures or any green energy devices. 3D printing is actually a great method for prototyping. Indeed, it allows to prototype any project faster and at lower costs than with other traditional methods. You can work and rework on your 3D models endlessly on your 3D modeling software to get the design that will perfectly fit your needs and your project. You can do as many iterations as you want before producing your final product. Rapid prototyping is becoming easy as 3D printing is an accurate and quick manufacturing method. If you are looking for a method to reduce your prototyping and production costs, you are in the right place. You can totally use 3D printing for prototyping or production, and it will reduce your costs. Indeed, you are only using the amount of material that you need for your project. Moreover, making iterations thanks to 3D printing is less expensive than making iterations with injection molding. You don’t have to make a whole new mold and go through an expensive process each time you want a new prototype. If it is great to work on a prototype, digital manufacturing can also help you with your production process. It has great advantages: for example, you can 3D print small batches very easily. With additive manufacturing, you can control your production and order the exact number of printed parts that you need. It is great to produce your whole project or just some parts. On our online 3D printing service, you can choose among a large variety of 3D printing materials, and also among the finishes. 3D printing allows to get products with a great finish and that will last over time. We will see later in this article that 3D printing is a good method to test new ideas and work on new materials. Researchers are always finding new applications and new manners to use this technology. In the energy industry, it enabled to work on new materials in order to create new clean energy devices such as 3D printed solar panels. 3D printed solar panels: How the 3D printing technology is useful for the renewable energy field? Solar panels are modules using solar power in order to create heat or electricity. These devices are made thanks to solar cells. The role of these solar cells is to convert the light into electricity thanks to physical and chemical phenomenons. Most of these solar modules are created with crystalline silicon, but researchers are making this technology evolve quite fast and new materials are appearing like the thin-film solar cells technology. This interesting energy device is still under development. The quality and the efficiency of traditional solar panels still have to be increased. That is why researchers interested in 3D printing are making their own experiments in order to create great 3D printed solar panels. High costs are obviously a brake in the development of renewable energy. Indeed, these devices are still expensive, and they are not accessible to everyone. We saw how 3D printing could be a good tool to develop new projects, and solar panels are the perfect example. First, it requires a lot of researches and development in order to get efficient solar panels at the end. These panels require solar cells, a specific device originally made with expensive materials to convert light into electricity. Developing a brand new solar panel, using new materials with new technical properties, is obviously asking to make a lot of tests and prototypes. These kinds of projects have to be clear and you have to get good miniatures to demonstrate the whole project to your team, to investors or future customers. Here, 3D printing could be your ally, because it will allow you to get high quality prototypes, and you will be able to do all the iterations that you need. But if you want to use additive manufacturing to produce, you obviously have to be able to print the material that you need. For solar panels for example, you have to use a specific material to absorb the sunlight. So, in theory, 3D printers can help to get green energy at a lower cost. But does it really work? Are these 3D printed devices really advantageous? MIT researchers are certifying that the production costs of solar panels could be reduced by 50% thanks to additive manufacturing. Indeed, for these new constructions, expensive materials such as glass, polysilicon and indium are not required. What makes these projects doable are obviously the new materials that can now be 3D printed. For example, synthetic perovskite is now known to be a cheaper material to build photovoltaic structures. At least, it is possible to 3D print solar panels and they are cheaper than traditional glass panels. Indeed the 3D printed panels are lighter, because techniques are developed to print super thin solar strips. By reducing the weight, it also reduces the difficulties linked to their transport. As this technology is becoming affordable, it is now a good solution to make renewable energy accessible for anyone and transportable anywhere, including in developing countries that don’t have an easy access to electricity. Regarding the quality of these panels, they are also 20% more efficient than traditional panels, as new techniques, new 3D printing materials and new designs are now developed thanks to 3D printing. Solar industry needed a new innovation, and more than anything else, they needed a way to become more affordable. 3D printing is appearing to be the new revolution in this field. Creating solar panels thanks to 3D printing: how is it possible? 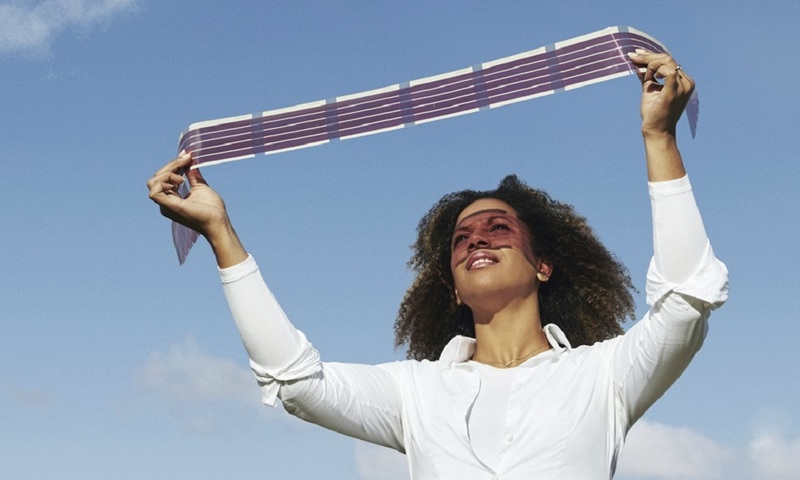 A new 3D printed solar cell technology already exists. This technology could be a game changer for the renewable energy industry. Here are some examples of companies using 3D printing in order to create solar panels, or researchers looking for the best options to develop good solar cells. Australians are making the most of their solar energy, but they are not only 3D printing some solar cells. They are also able to 3D print a whole solar field. Australia has the most important solar irradiance in the world, it is the perfect area to experiment a whole 3D printed solar field. 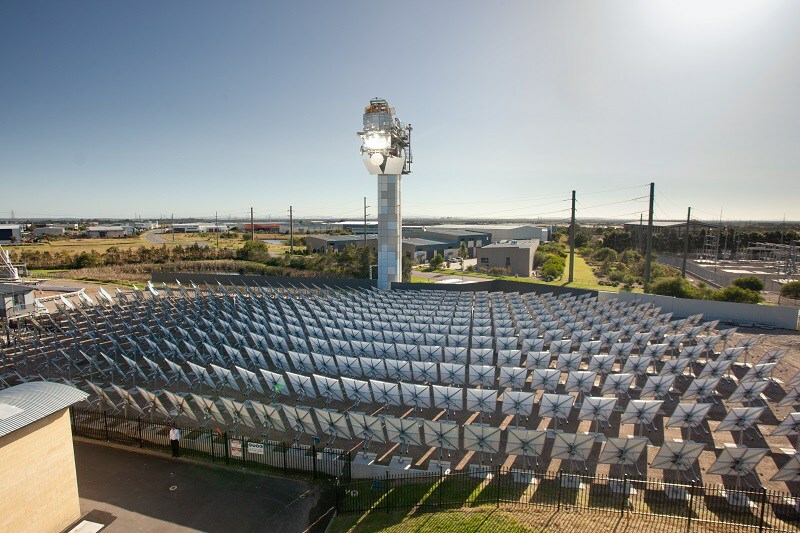 This is the project of The Australian Solar Thermal Research Initiative (ASTRI), and his lead partner the CSIRO. This device is able to capture concentrated solar radiation as thermal energy. They are literally using a field of heliostats in order to concentrate sunlight between 50 and 1000 times its normal strength. The energy is sent to the receiver tower, that can store all the energy. 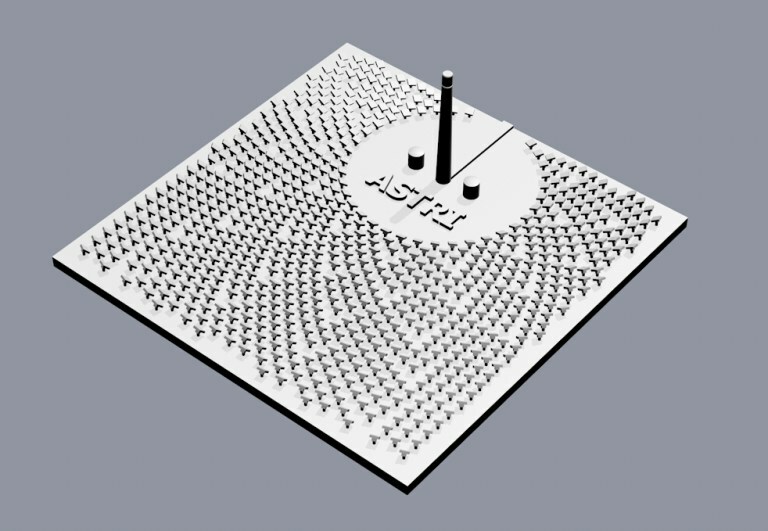 The ASTRI put an STL file of this model on its website, allowing anybody to 3D print these solar panels. At Sculpteo, some of our customers are working on solar energy and 3D printing as well. On the blog, we already told you about Simusolar, a company created in 2014 and willing to bring solar energy to the rural population of Tanzania. They develop and implement small-scale sustainable solutions to help local people in their everyday life. They decided to use 3D printing because they needed a lot of custom made parts. Who are their clients? Farmers, fishers, or rural residents looking for equipment powered by solar electricity. In the video below, you will see the testimony of one of their customer, explaining how solar energy changed his daily life. To get more information, read this blogpost about Simusolar 3D printed devices. The goal of Kyung-In Synthetic is to provide solar electricity in remote areas, without electricity. In order to do that, they decided to create solar panels thanks to the 3D printing technology. This project could actually provide electricity to more than 1 billion people and become a sustainable solution. These 3D printed solar panels are created using perovskite, a mineral composed of calcium titanate. The capabilities of these perovskite solar cells are improving year over year. They are actually able to create more than one year of full performance, without losing any efficiency. The future of this technology is really promising. 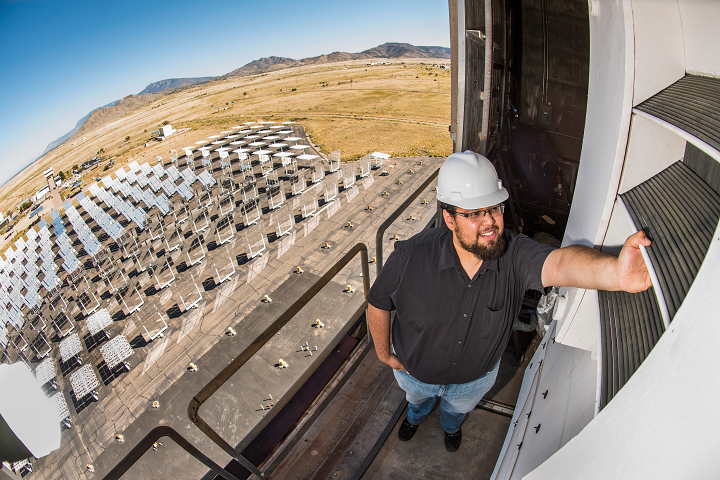 Engineers based in New Mexico, at the Sandia National Laboratories worked on solar receivers, proved to be 20% more efficient than traditional solar panels. They configured panels so they can absorb more sunlight than traditional ones. Indeed, thanks to their special structure, they are catching the light at different scales. Additive manufacturing allowed these engineers to create really complex geometries for their solar devices, making the whole process easier to manage. Indeed, they created panels with louvered structure, in order to trap the sunlight. With this system, there is no loss of energy. The light reflects into the receiver, and then, it is absorbed. Obviously, to produce such complex devices, new 3D printing materials and processes had to be developed. If solar panels seem difficult to produce, you can see with these examples, that it is totally possible to create 3D printed solar panels with easier and faster processes. 3D printing in this field could quickly become a real asset. For example, it could allow mass-customization in this sector. People will be able to ask for custom 3D printed solar panels, designed especially for their own needs, with the right shape, the right size. The new 3D printing material that has been developed could really change the solar energy industry. Moreover, these low cost and efficient structures will be perfect to create solar powered devices that could allow to bring electricity all around the world, even in remote areas. The energy sector and the 3D printing industry are becoming great partners. Together, they could clearly help to develop a lot of affordable green energy projects, in order to fight climate change. If you want to read about more projects linked to 3D printing and energy, read this blogpost on how 3D printing powers the future of energy. You want the latest 3D printing news regarding the renewable energy industry, subscribe to our weekly newsletter!